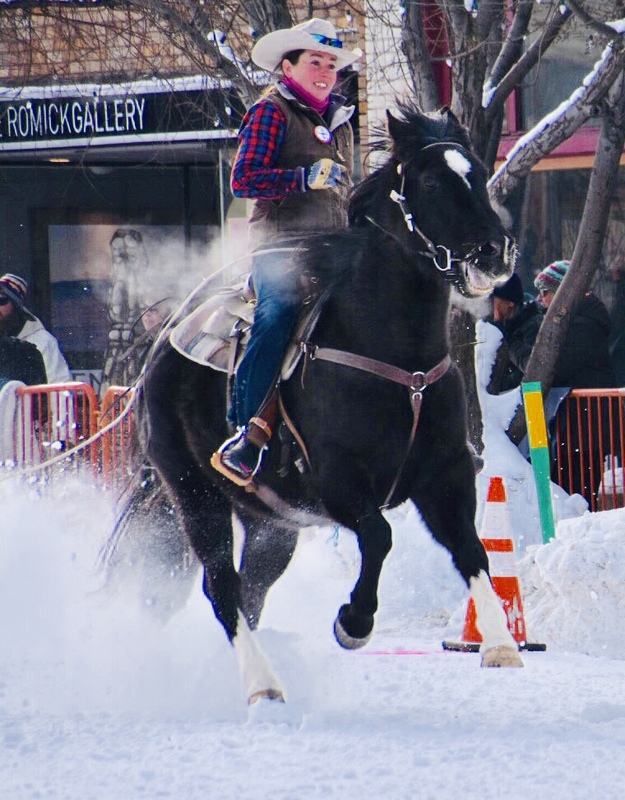 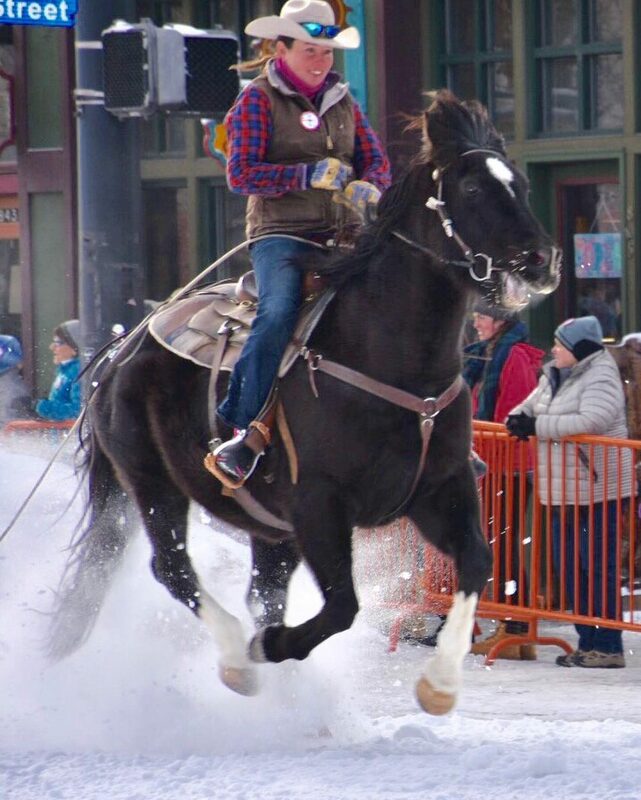 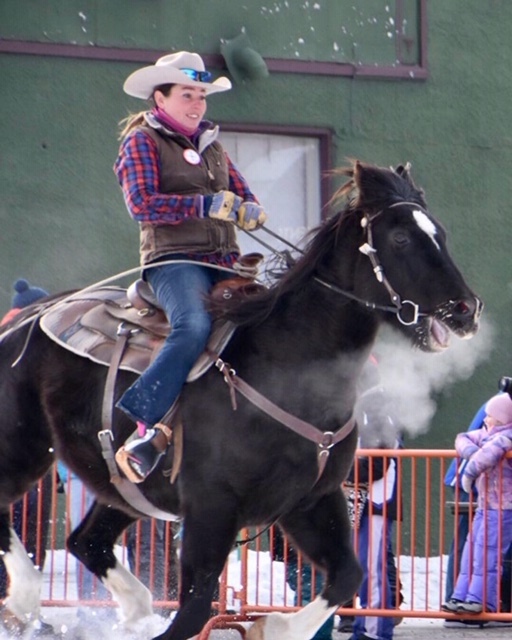 A cowgirl rides her horse down a snow-covered Lincoln Avenue during the 106th Winter Carnival. 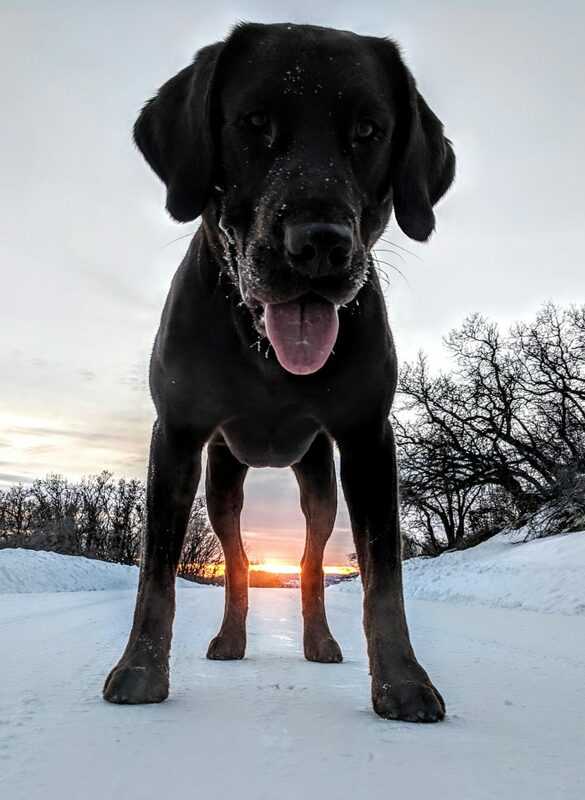 A lab poses for a photo. 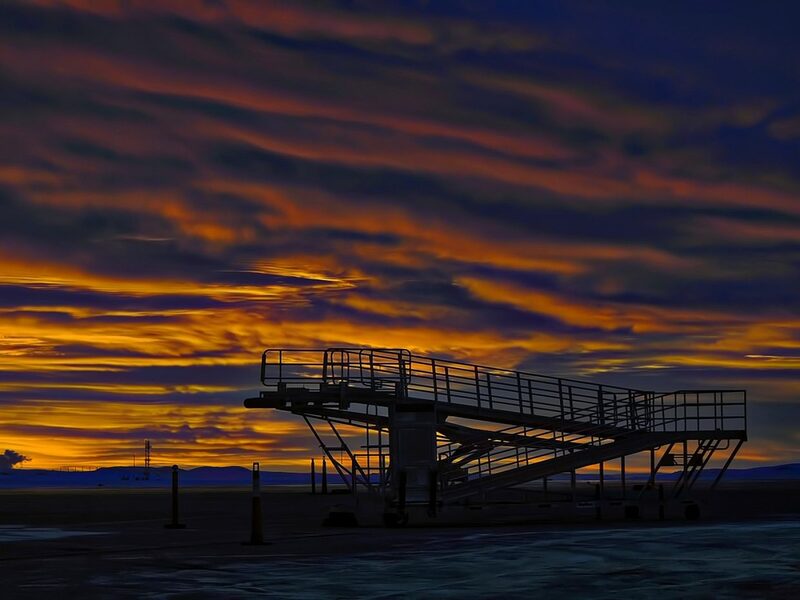 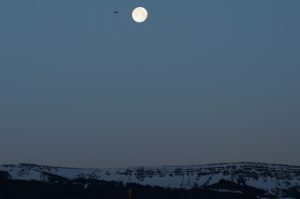 The sun sets at the Yampa Valley Regional Airport. 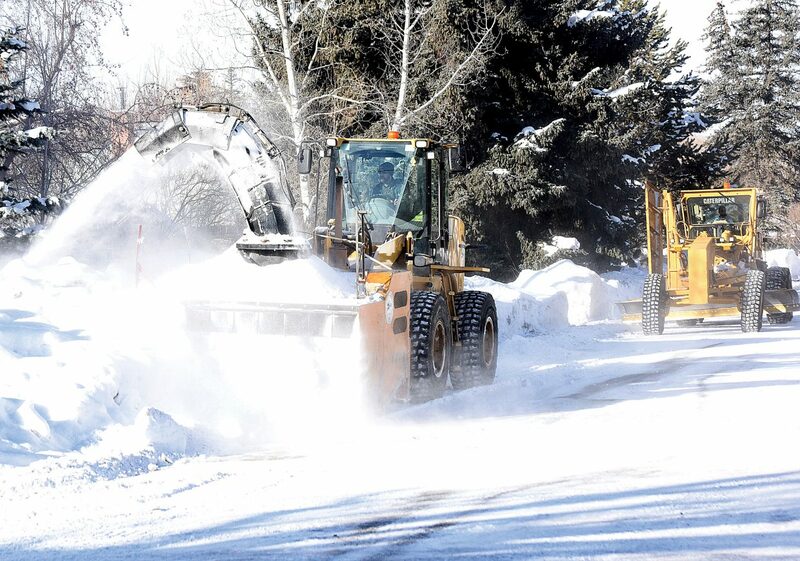 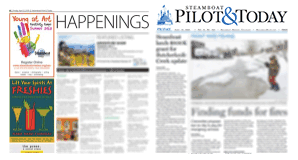 Crews from the City of Steamboat Springs use a snowblower to push back the berms left behind by regular snowplowing.